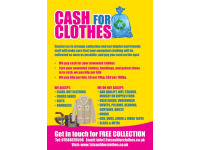 Welcome to 1st Cash For Clothes – a clothes recycling service in London ready to collect your unwanted items in exchange for cash. Landfill sites are bad for the environment – that’s a fact. Every year, millions of tons of clothing end up being discarded in landfill sites. Lots of clothing is biodegradable, but landfill sites often don’t have enough oxygen to start the process of breaking those organic materials down. Your clothes can end up emitting dangerous greenhouse gases, which then escape into the atmosphere and speed up climate change. 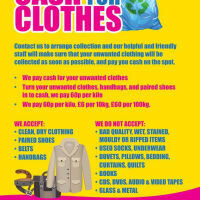 Clothes recycling for cash is a great way to help ensure your clothes avoid being dumped in landfill, so you can play your part in protecting the environment.